Path to Scholarships®: Linfield College Students See Impact of Path to Scholarships® with Scholarship Winnings! Linfield College Students See Impact of Path to Scholarships® with Scholarship Winnings! Linfield-Good Samaritan School of Nursing in Portland, Oregon stands out with college scholarships awarded! Since implementing the Path to Scholarships® Program and Book Series, by founder and author, June Pichardo-McBride in the fall 2005, the external scholarships awarded to students have increased 321% as of 2013. Due to the effectiveness of the Path to Scholarships® Program and Book Series as retention tools, Linfield College, Portland Campus students reap the rewards. Gerardo Ochoa, Associate Director of Financial Aid is a Path to Scholarships® Regional Trainer and Araceli Ortiz, Financial Aid and Scholarship Outreach Counselor is a Path to Scholarships® Core Certified Trainer. Together this dynamic team is positively impacting and empowering educators, parents, and college/high school students. Gerardo Ochoa is from Zamora, Michoacán Mexico. He graduated from the University of Oregon where he majored in Sociology and minored in Latin American History. 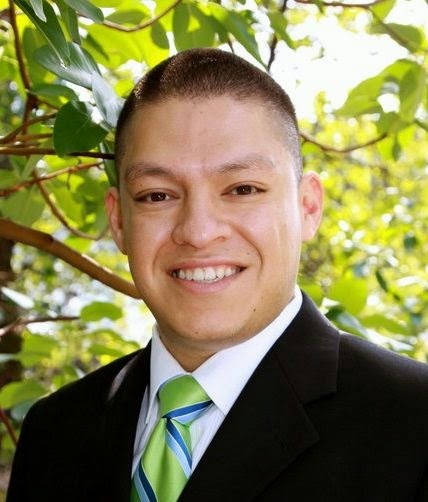 Gerardo has extensive experience working with underrepresented youth in higher education, primarily Latinos at the middle school, high school, and undergraduate level. His most recent endeavors involve using the Path to Scholarships® Program and Book Series to provide students the tools, resources, and motivation to successfully apply and compete for scholarship funding; an essential element to completing a college education. Araceli Ortiz was born in Michoacán, Mexico. She graduated from Linfield College with a degree in Sociology and Spanish. 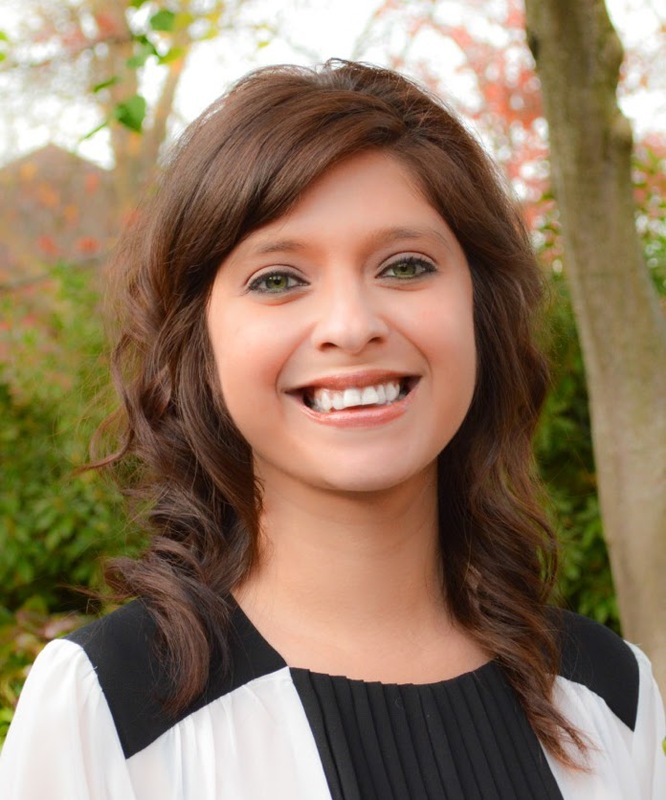 As a first generation college graduate, Araceli has experienced firsthand the barriers Hispanic first generation college students face. She is passionate about helping all students validate their personal stories through the essay writing process to access higher education and scholarships. Araceli conducts Path to Scholarships® workshops for Linfield nursing students and local community partners. Araceli's position at Linfield has been focused on working with the Linfield nursing students, educators, parents, and high school students in the community assisting them to build a strong foundation using the Path to Scholarships® Program and Book Series to successfully apply to college and for scholarships. In contrast, on the Linfield College, Portland Campus, of the 71 applicants for scholarship funds, 35% (25 recipients) won scholarship funds. While the numbers seem small, Linfield College, Portland Campus has a student population of roughly 350 students, all of which are juniors or seniors due to it being a transfer-only campus. By default, the only students who are eligible to apply are juniors. Furthermore, these 25 students won a total of $320K, for an average of $12K per student. 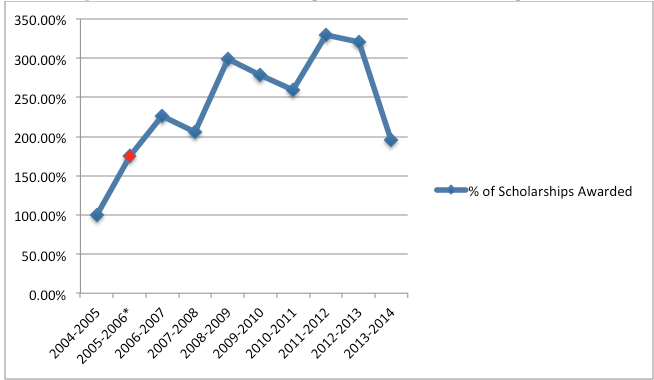 In 2013-14, in the nursing program saw a decrease in scholarships won due to a curriculum change. Approximately one third of the students are now participating in Linfield’s accelerated program in which, they complete four semesters in one accelerated academic year. This limits the time available to work with students to provide students the tools win scholarships. Scholarships work in cycles, the preparation and application to scholarships students complete this year will benefit them next year. Since the accelerated nursing students are only with Linfield College for one year, the scholarships for which they qualify are limited. Linfield nursing students have had success winning scholarships at a greater rate than the state average in large part because of the Path to Scholarships® Workshops, which the students attend every fall and spring semester. As long as tuition continues to increase nationwide and students continue to have financial need, Linfield College will do its part in helping students win scholarships. After all, the return on investment is a clear winner. Linfield nursing student Eva Vaquera-Contreras graduated debt free after attending four colleges using Path to Scholarships®! Nghia Ho attended Cleveland High School of Portland Public Schools and won the 2014 Bill Gates Millennium Scholarship after attending the Path to Scholarships® workshop with Gerardo Ochoa. “It was very helpful to go over the essay structure, as well as thank you cards. I would say that all the content of the workshop was very informative and provided new insights. I wish I had done this workshop sooner! Join a FREE Path to Scholarships Five-Step Mini COURSE to learn how to apply successfully to college and for scholarships. August and September Scholarships Available!